It is a practice of discovery and used to discover the true nature of fire and light. Relax in the lotus position on a comfortable cushion so your body is not too stiff or sit on a comfortable chair next to a table where you will place the candle. If sitting on a cushion place the candle in front of your vision on the floor about a metre or so away from you so that you are not bending your neck when looking at it so that when you go to visualise it you do not move your neck. Light the candle and begin by observing the flame. Look at the details such as the different colours. Move on the the wax. Observe it look at and wax that is forming or formed on the side. (It is preferable to do this practice with a candle that is not tea light or in a glass jar). Once you have observed the candle enough and can remember the details close your eyes and begin to visualise it. Hold the image in your minds eye for as long as you can. When you notice yourself losing concentration open your eyes back up again to reobserve the candle. Repeat the steps of observation and visualisation for as long as you are doing this practice. I would recommend starting with 20 minutes and expanding that to an hour eventually. 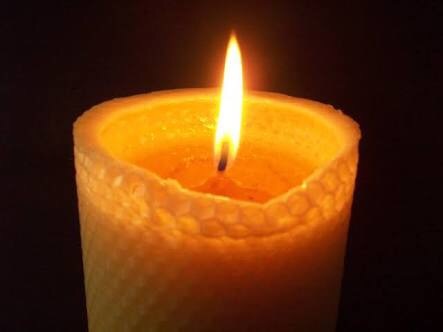 Be careful not to loose yourself into imagination of an image where you are imagining the candle as opposed to visualising it exactly how it is. This is one of the pitfalls people fall into when practicing this exercise. Look at the details in this image. To visualise this accurately takes great powers of the third eye. It is not the imagination that drives this rather powers of the chakras. Do not heft discouraged by this practice if you find yourself struggling to see anything. Simply focus on observing the candle for longer and once you have practiced this for a while then move on to visualising. I personally found this practice to be very difficult. I could only see a part of the candle and only once did I visualise the whole thing for a couple of seconds. Non the less it is a great practice to hone your concerntartion skills to further your efforts in astral projection and meditation. Good Luck and may the Gods be with you!